Under 20 minutes’ walk from the beach , this stylish Poblenou Premium apartment offers a balcony, free WiFi and air conditioning. It is situated within an 8-minute walk of Selva de Mar metro station. 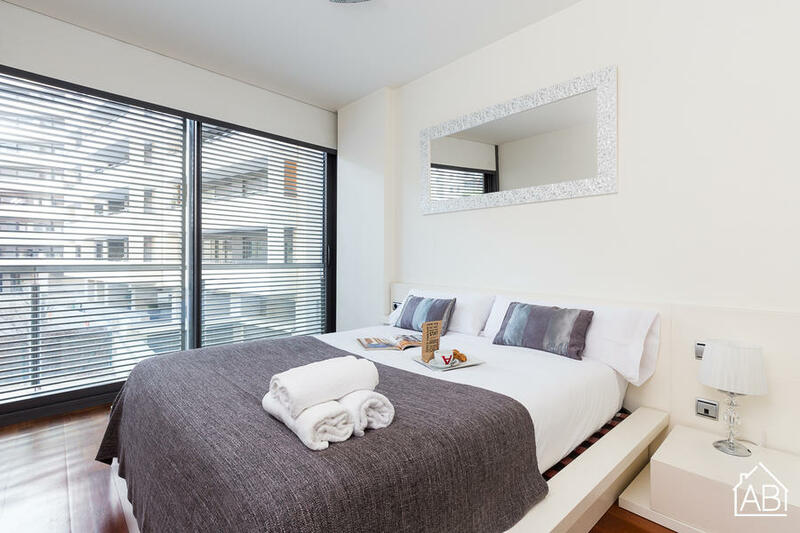 The apartment sleeps up to 4 people across two bedrooms, one with a double bed and another with two single beds. The apartment has a living room with sofas and a flat-screen TV. The dining room and fully-equipped kitchen include a microwave, kettle, coffee maker and oven. Rambla del Poblenou is a 10-minute walk away, with many restaurants and tapas bars. Glòries shopping centre is under 15 minutes’ walk away and Parc de la Ciutadella and Arc de Triomf are just 6 stops on the bus. Plaça Catalunya and the city centre are just a 25-minute bus ride away. Poblenou is a great choice for those interested in beaches, local culture, monuments and city stays.